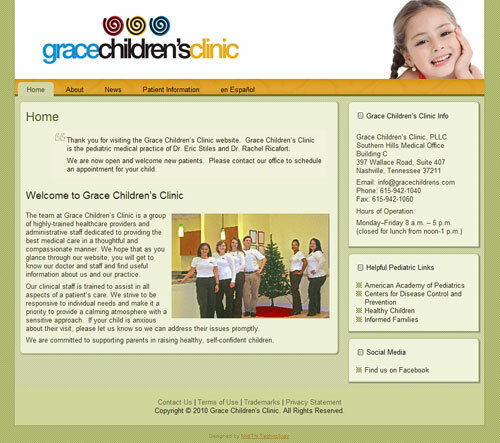 Grace Childrens Clinic is a group of highly-trained healthcare providers and administrative staff dedicated to providing the best medical care in a thoughtful and compassionate manner. 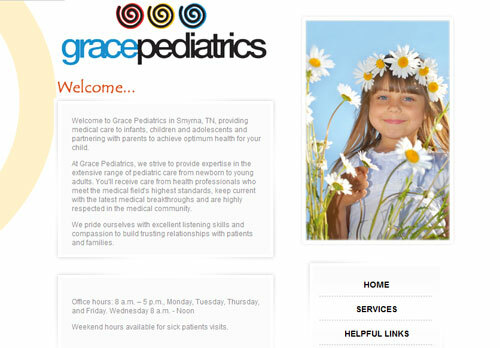 Grace Pediatrics provides medical care to infants, children and adolescents and partners with parents to achieve optimum health for your child. 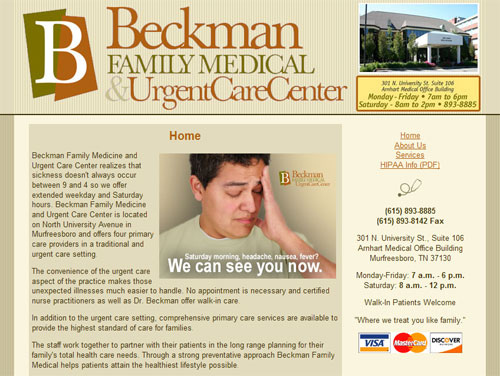 Beckman Family Medical & Urgent Care Center is another “Just the Facts” website with a simple, tasteful, and affordable design. 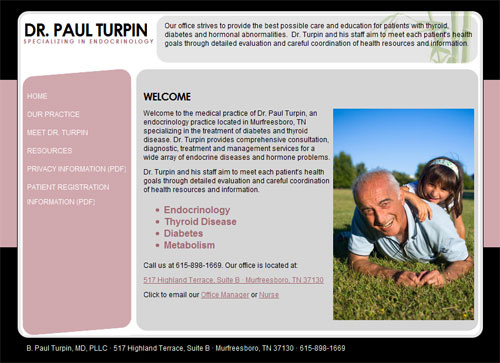 Dr. Paul Turpin specializes in diabetes care. He needed a simple, but professional web presence.